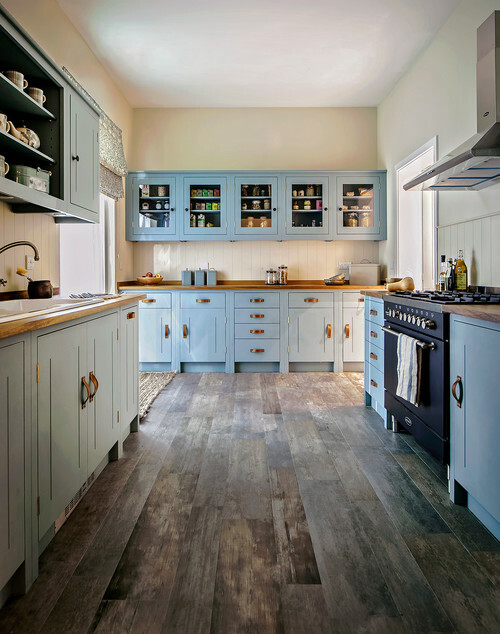 Rustic, recycled barn board style floor boards compliment the sky blue cabinets. 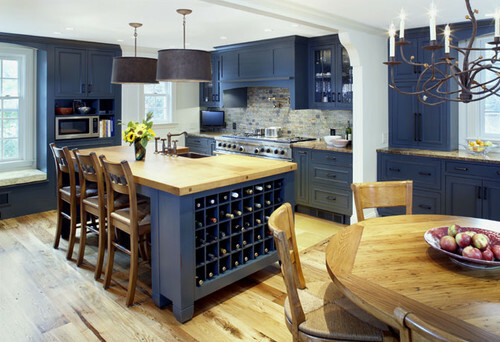 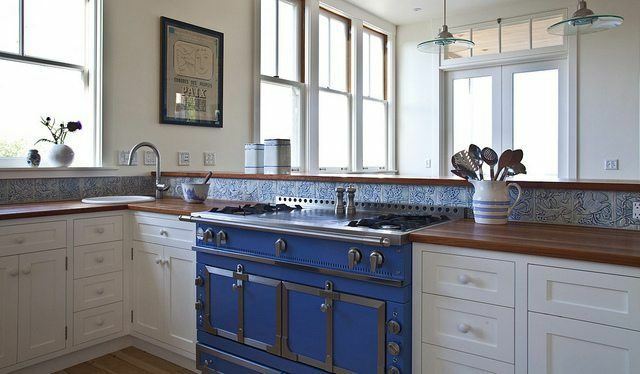 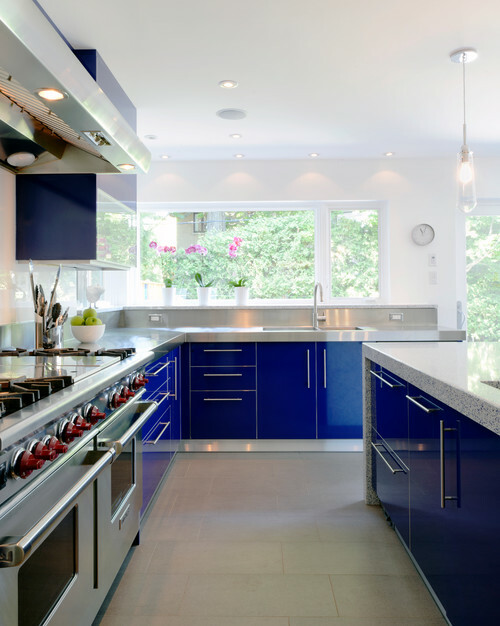 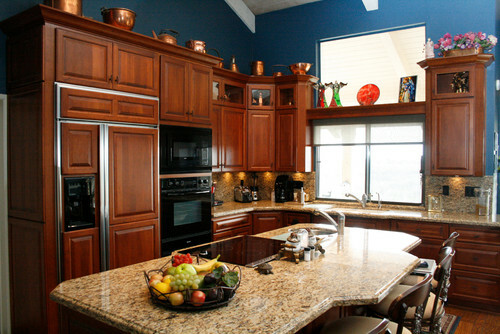 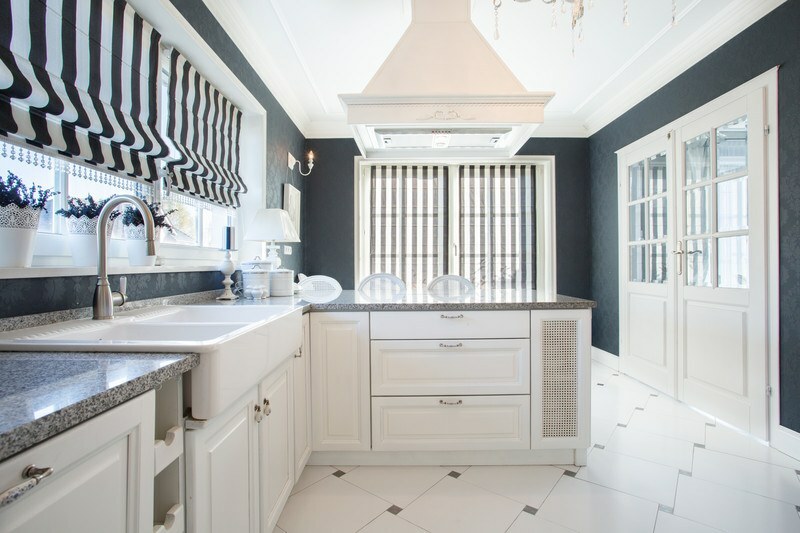 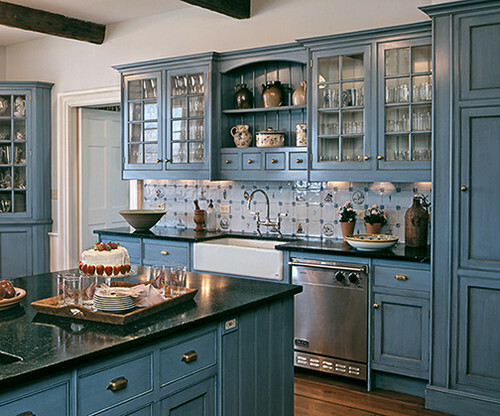 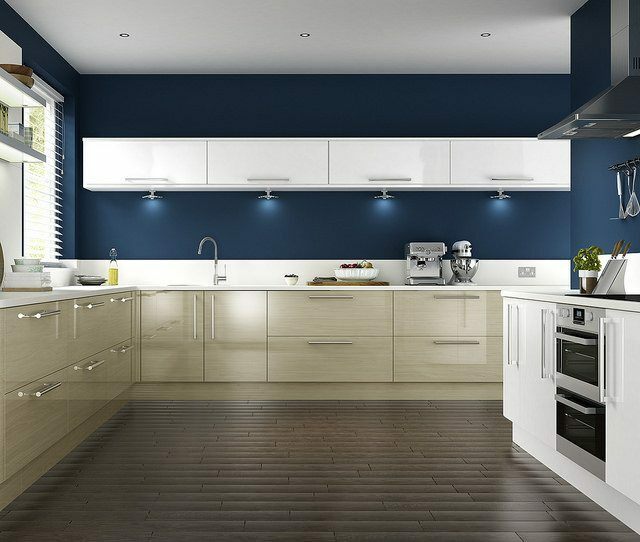 Cerulean blue walls with cream cabinets and cream or lemon chiffon appliances and cabinets. 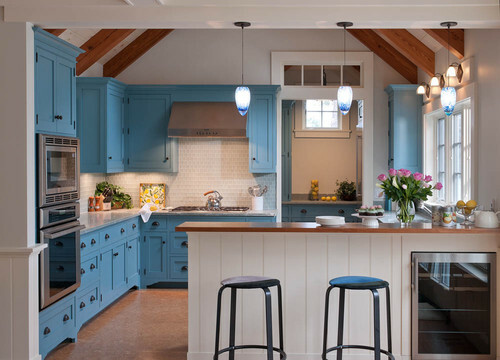 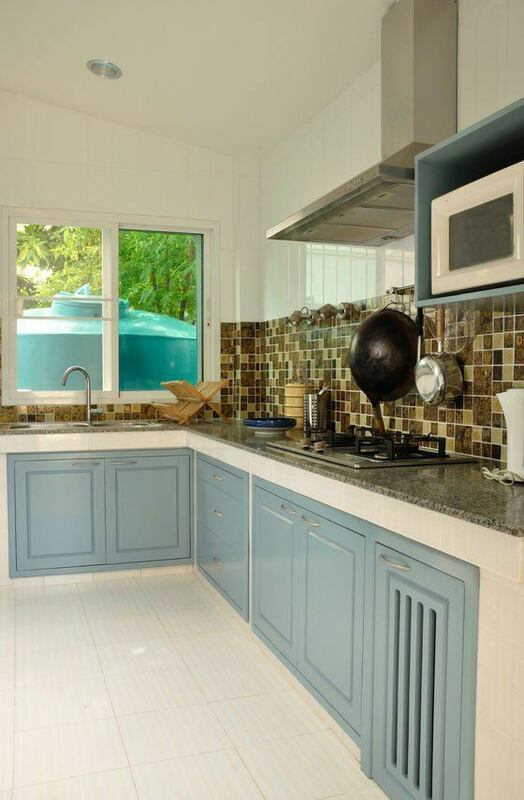 This beach style kitchen is enhanced with light blue. 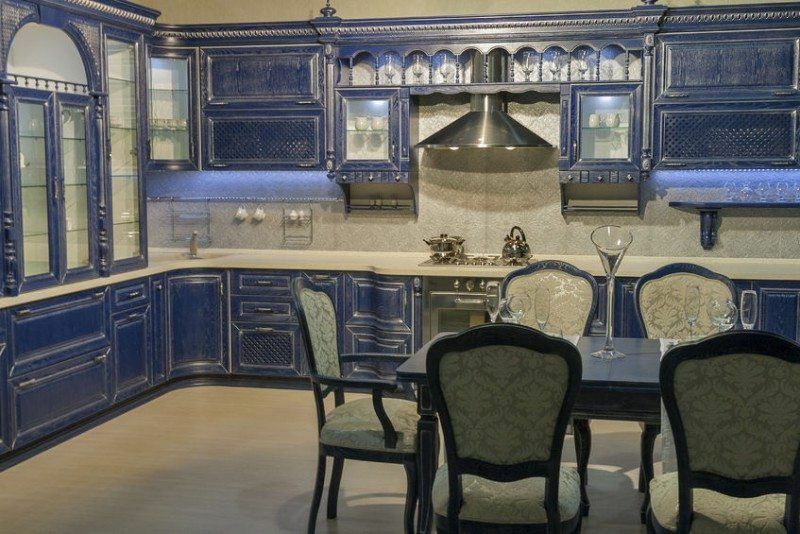 Check out that amazing wine rack painted in steel blue! 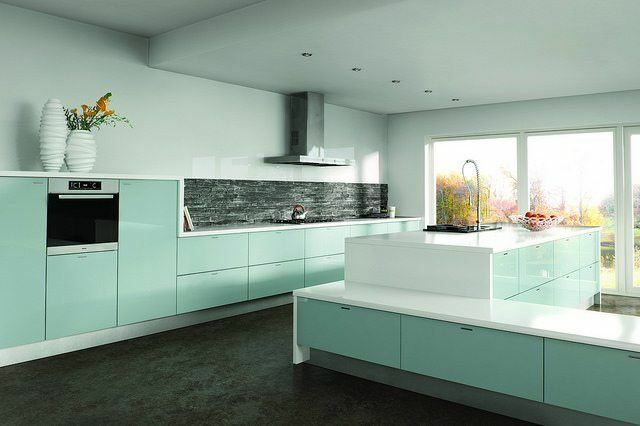 I get a 50's vibe from this one! 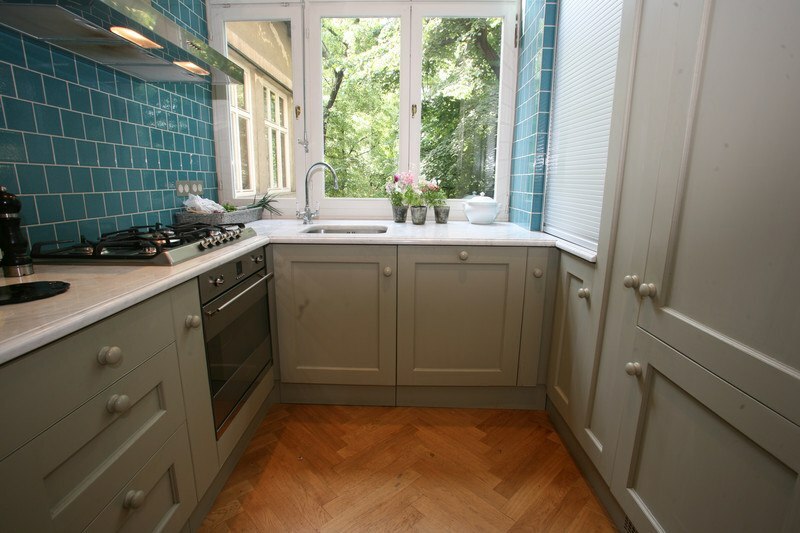 Varying shades of blue and green. 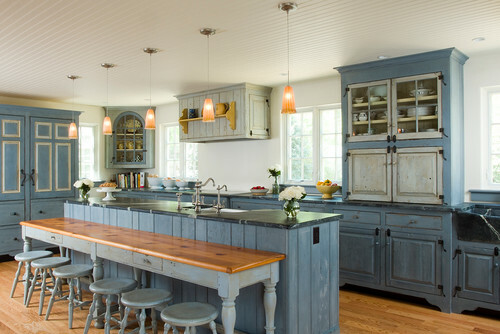 It reminds me of the seaside! 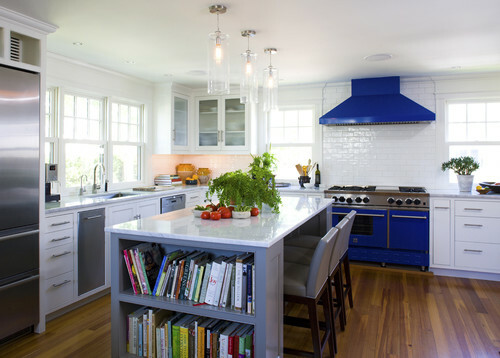 Look forward to the blue kitchen appliances post in the next day or two! 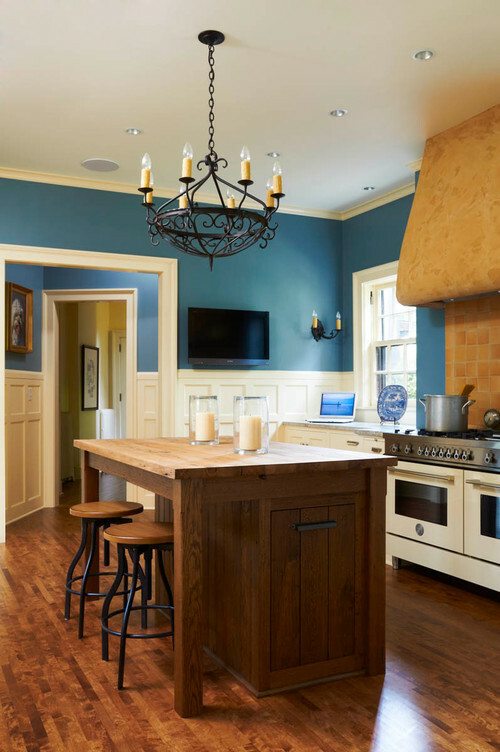 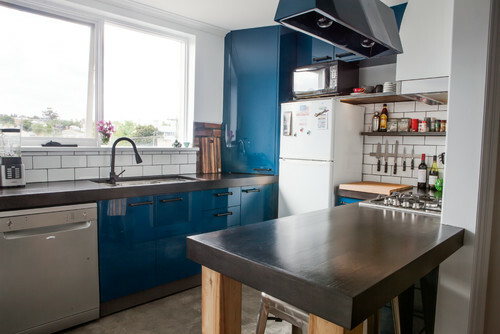 Blue is my favorite color and having kitchen wall paint and interior decor with such elegant color, I can work whole day in it.